The ultimate reference for Southern Civil War cockades! I have compiled 4 years of cockade research into a book that YOU can enjoy! When you purchase, you will receive an email from ECWID with a link to download the book. This 45 page PDF E-book is organized by state and footnoted (with hyperlinks) to make it easy for you to peruse all of the amazing information in it. When you purchase it, you'll automatically get an email with instructions for downloading the E-book. 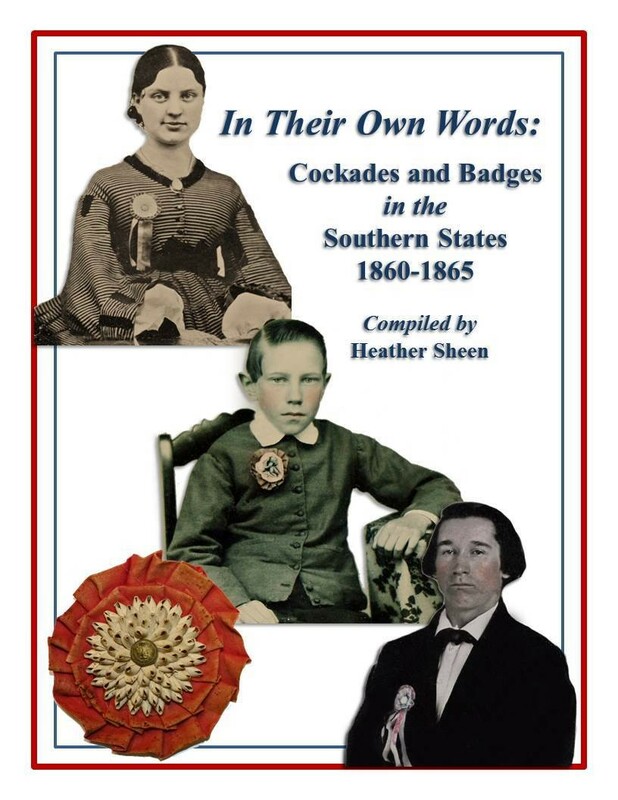 Here you'll read the unfiltered original quotes about cockades and their wearers in the Southern states 1860-1865. No author or historian is "interpreting" the information for you - you get to see exactly what our ancestors thought and wrote about cockades in the 1860s!